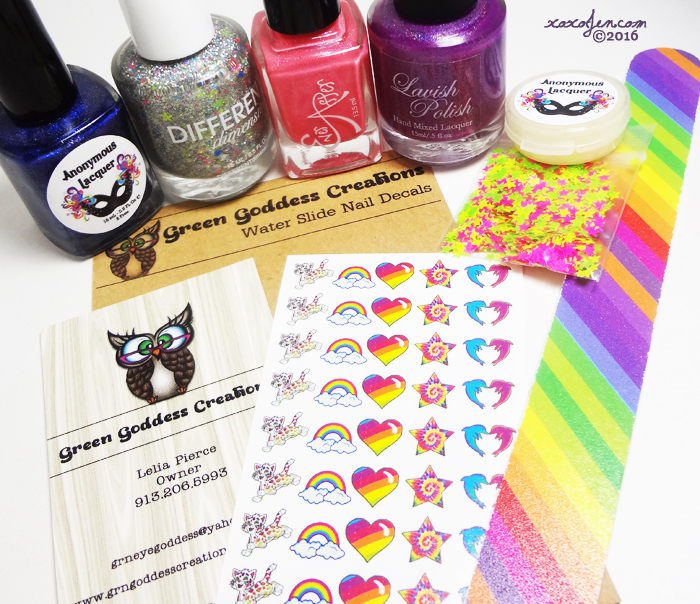 The Awesome Sauce box is a collaboration between several indie Nail Polish brands who bring you a box full of awesome! The current box includes 4 polishes as well as several other fun products, all with a Lisa Frank theme. 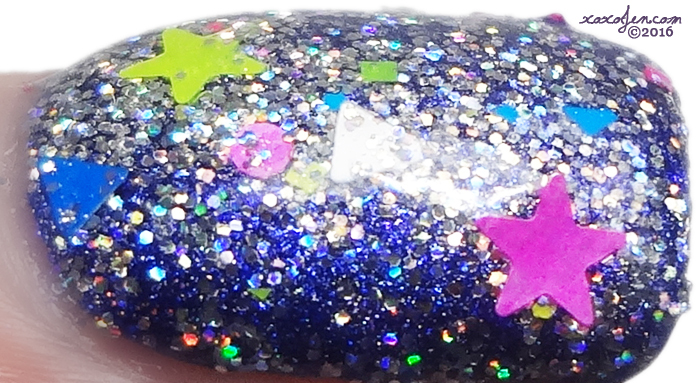 Holo glitterbomb with an array of shapes in bright colors and it comes with a heap of loose neon star glitters! 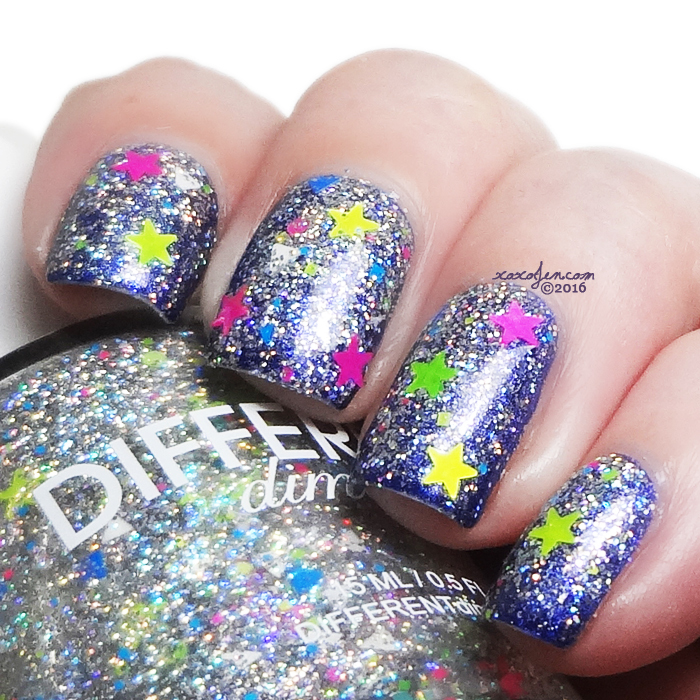 Who doesn't like extra glitters, in star shapes!? The holo rainbow and candy colors of this polish made me grin while at work. I wore just one coat over the Anonymous Lacquer and it is almost opaque. I added a coat of gelous and a coat of top coat for a smooth glossy finish. Bold blue with a flash of purple shimmer and linear holo, and it comes with a mini "Butta Balm" for cuticle care. 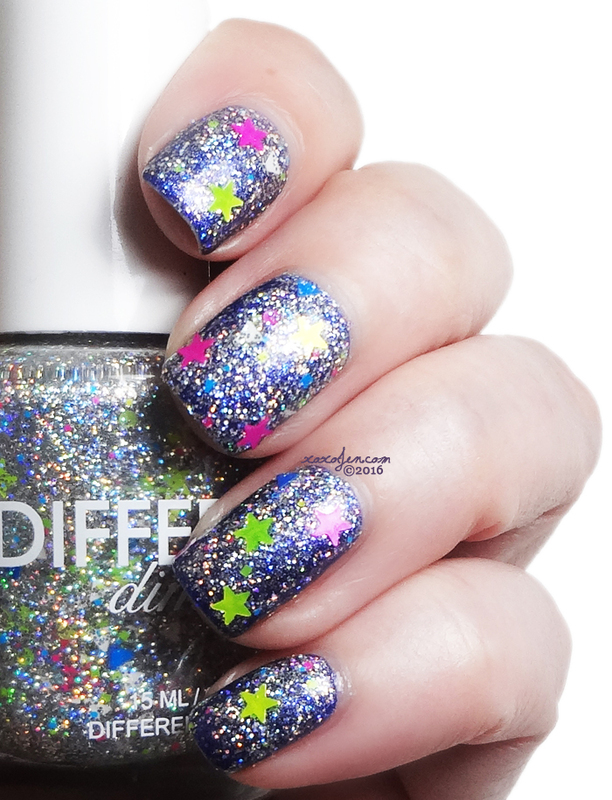 This polish is so electric and vibrant, teetering right on the edge of being called purple! I don't think I have anything like it in my collection, happy to give it a home! I wore two coats, although I could have gotten away with one. A bright, almost neon pink with peach tendencies super loaded with blue and purple micro flakes. If you're a pink lover, you won't want to miss this one. I wore two coats and topcoat. 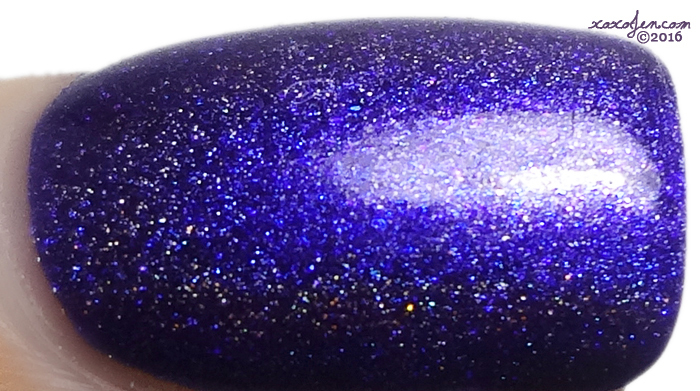 A vibrant purple holo packed with blue and pink shimmer. I freaking love this shade, raspberry is just so yummy! I wore two coats with topcoat. The box also includes a sheet of Lisa Frank inspired water slide decals and a rainbow nail file! The file is awesome, and I haven't had a chance to try out the decals but they are super cute! The box is available now at http://awesomesauceindies.bigcartel.com/. It comes in both full and mini sizes, shown here is the full sized box. Looks like a pretty fun box.